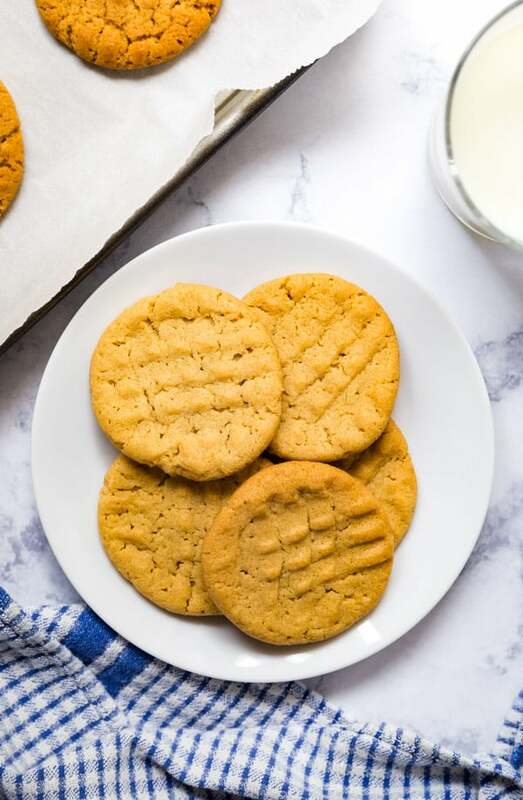 These classic peanut butter cookies are just like the old fashioned cookies your mom used to make; nice and chewy in the middle with just a tiny bit of crunch around the edges. 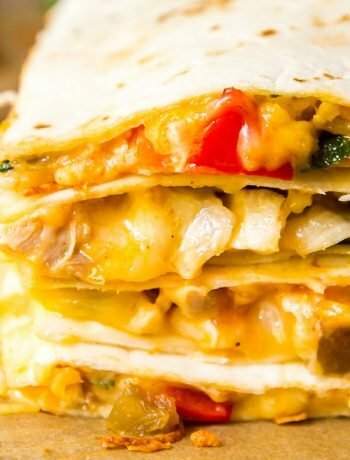 This has been a family favorite recipe for generations! 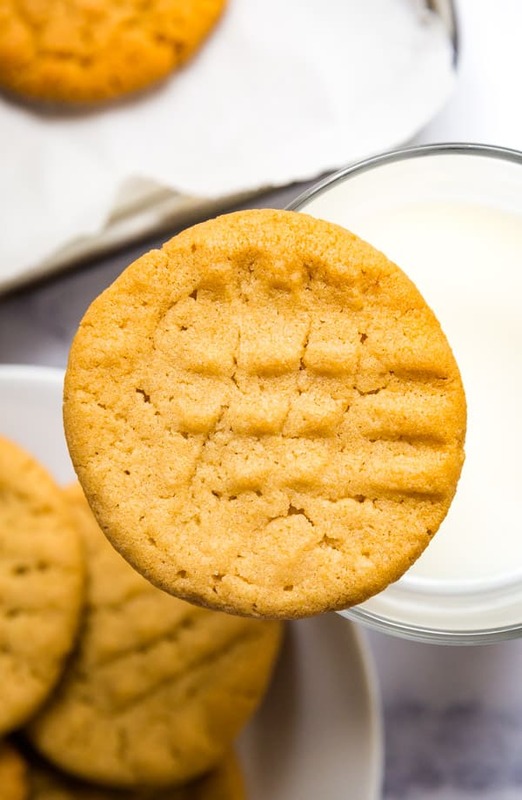 These homemade peanut butter cookies are one of those perfect foods where one bite instantly transports me back to my childhood in my mom’s kitchen. 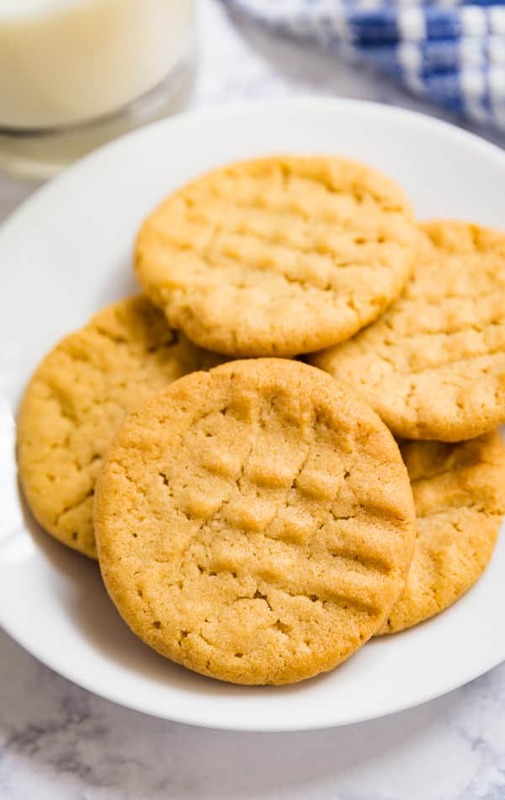 You know the one’s that are perfectly simple peanut butter cookies with a chewy center and just the right amount of crunch on the outside? My girls and husband basically went crazy over these when they tried them and as you can imagine the batch didn’t last long in our home. 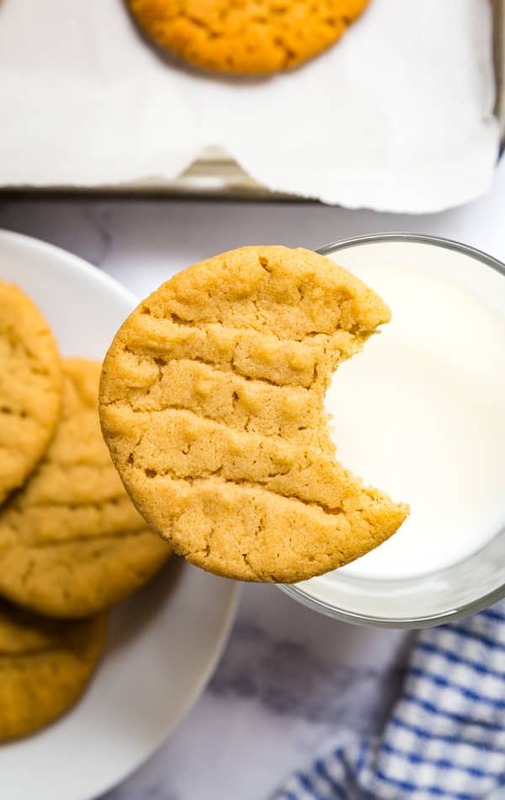 This is one of those classic recipes from the Betty Crocker Cooky Book that is so old but full of so many fantastic recipes. 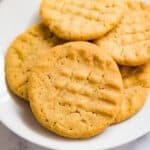 I’m not trying to tell you that these are the best peanut butter cookies…but I’m not going to tell you that they’re not. Grab a stack with a big old glass of milk and you’ve got yourself the best, nostalgic dessert or afternoon snack. Although the original recipe calls for shortening, I prefer to use butter, both for it’s delicious flavor and texture. Be sure to chill the dough for at least an hour to keep them from spreading too much. They will still spread, so give yourself about 3 inches between cookies, but not as much. Place a little flour in a small bowl and dip your fork into it before pressing it into the balls of dough to keep it from sticking. 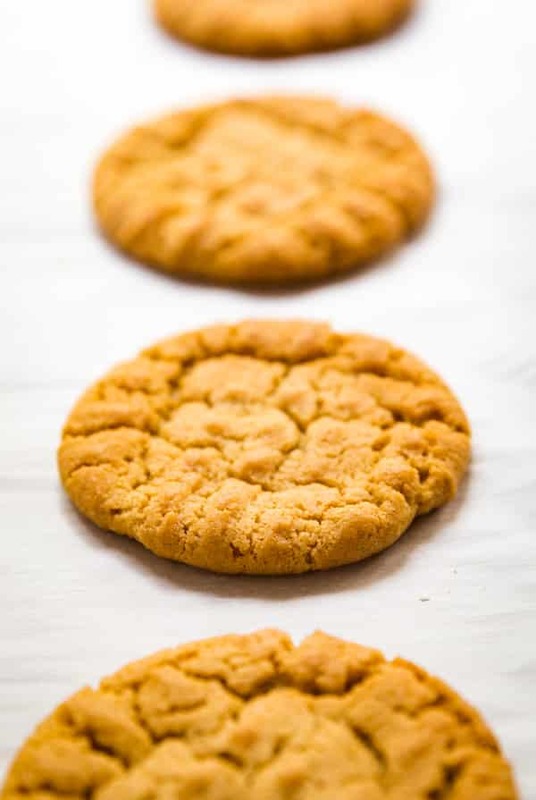 Can you freeze peanut butter cookies? Yes, you have two options. Either let them cool completely after baking and then freeze well wrapped or freeze the dough balls on a parchment lined pan and once frozen, bag them up in a zipper freezer bag. What makes these cookies soft and chewy in the middle? The wet ingredients really help with this, namely the butter, egg and peanut butter. How do you keep cookies chewy? I store them on my counter in an airtight container with a slice of bread in there with them. The bread gets stale and crispy from all the air, allowing the cookies to maintain their texture. In a large bowl mix butter, peanut butter, granulated sugar, brown sugar and egg until well combined. Set aside. In another bowl whisk together flour, baking powder, baking soda and salt. Add dry ingredients to the wet ingredients to combine and chill for at least an hour. 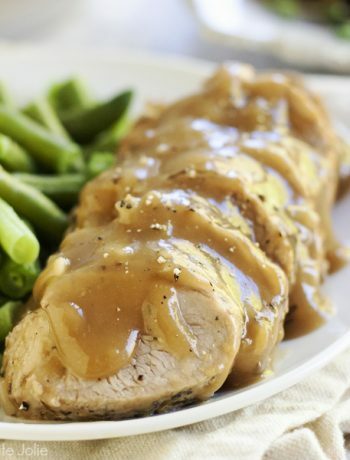 Preheat the oven to 375 degrees and grease or line a sheet pan. Roll the dough into 1 1/4 inch balls and place about 3 inches apart on the pan. Dip a fork into some flour and gently flatten each ball making a crisscross imprint with the fork on each cookie. Bake for 10-12 minutes and serve warm or cooled. 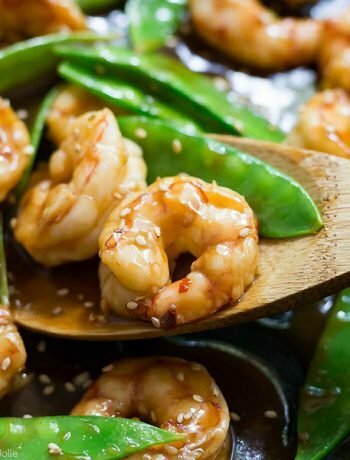 December 6, 2018 at 12:41 am So delicious and so simple! December 7, 2018 at 10:26 am Thanks Alida! December 7, 2018 at 10:25 am Enjoy Toni!